Somalia's government says an ongoing internet outage is costing the country $10m (£7.7m) each day. 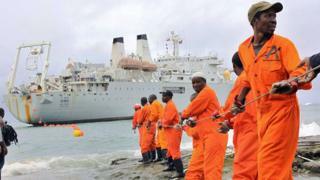 Somali Post and Telecommunications Minister Abdi Anshur Hassan has called the incident a "major disaster", costing Somalia "more than $130m". He said the cable was being fixed and service will be restored "this week".